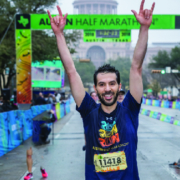 This year we celebrate the 28th running of the Ascension Seton Austin Marathon! On Sunday February 17th, we will welcome over 17,000 runners for what will be a remarkable day of energy, speed, and achievement. We are proud to support Austin Gives Miles and Charity Chaser Lance Armstrong as we work together to raise over 1 million dollars for local charities. Our loyal friends, sponsors, and partners help make your race day as memorable and we are appreciative of their involvement. We are also grateful for the support from the City of Austin, APD, EMS, and volunteers who work behind the scenes. Crossing the finish line and placing your finisher’s medal around your neck will be a testament to all the work you have done the past few months. 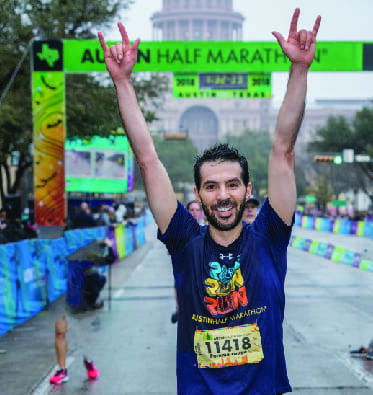 Make sure you share your stories and pictures with our hashtag #RunAustin! On behalf of our sponsors, volunteers and staff who make this day possible, we wish y’all the best of luck in making the Austin Marathon, Half Marathon or 5K your best race yet.